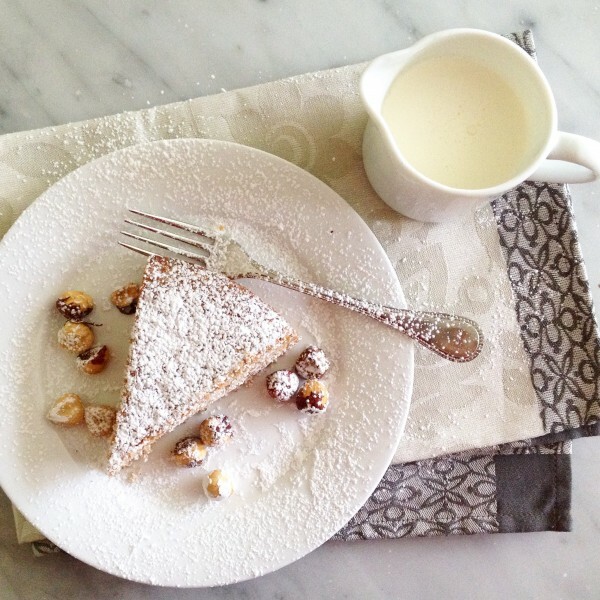 This simple cake, were Hazelnuts are the real star of the show, from Italy’s Piedmont region. The Frangelico liquor really brings out the hazelnut flavour along with the moist centre, really will drive you nutty! Pre-heat the oven at 180 degrees. Grease and line the base of a 20cm springform pan. In a bowl, beat the eggs, adding the sugar, olive oil, milk, vanilla extract and Frangelico. Mix well together until a nice smooth texture. Stir the flour and baking powder into the mix along with the ground hazelnuts and mix well together. When the mixture is at a smooth paste, pour the mixture into the prepared pan.